Fry onion in a tablespoon of oil, add chillies and mince fry with a teaspoon of chilli powder and crushed ginger garlic, salt and pepper. Cook until all water is completely dried. Allow curry to cool and its ready for filling. Fold pur in triangles, fill with curry and stick with flour and water mixture. 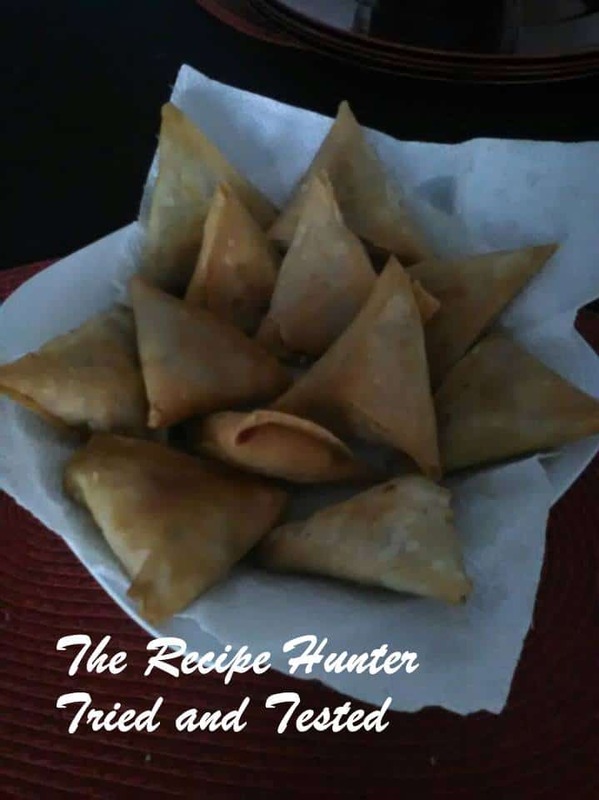 Samoosas are now ready to be fried in hot deep oil, drop the heat while frying a bit to avoid burning it. Once light brown take out with a spoon that has holes in it and place in plate with paper towel to remove excess oil.